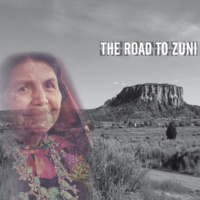 Annapurna Pandey, Department of Anthropology lecturer, presents "Road to Zuni", a documentary about Professor Emeritus Triloki Pandey and his work with the Zuni Tribe of New Mexico. After years of living with the historically private Zuni tribe, Triloki Pandey's court testimony helped force the U.S. to recognize the Zuni way of life and pay $50 million in settlements for injustices perpetrated on the people. Film run time is 33 minutes, followed by questions and discussion.